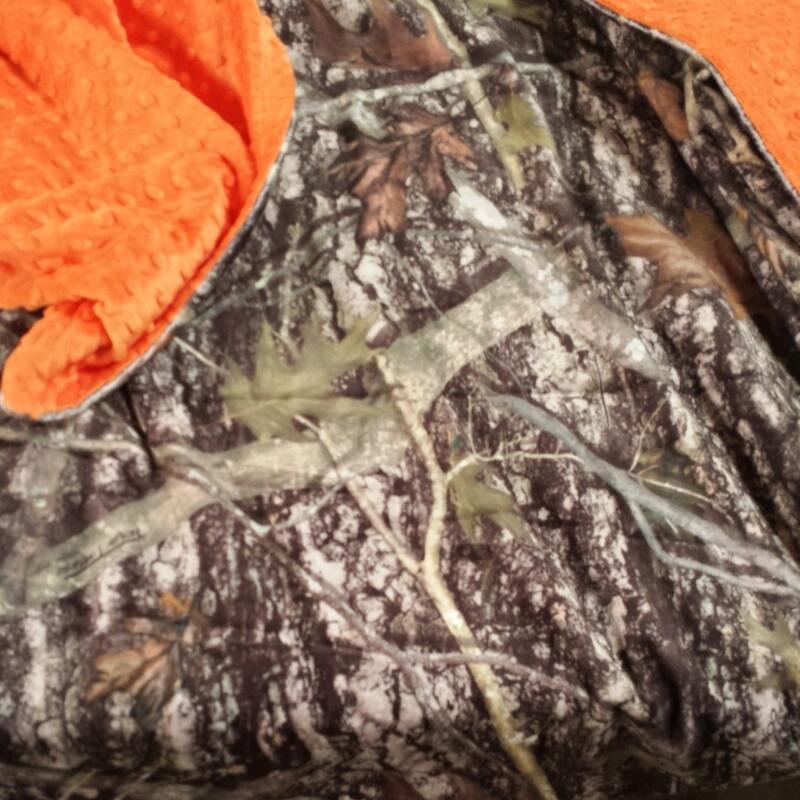 This is a perfect baby blanket to give as a gift or purchase for yourself if you are in a hunting family. This blanket measures 30"x36". True Timber MINKY fabric is used on TOP and your choice of solid MINKY dot fabric of your choice is used on BACK. Embroidery is available on this item on the side of your choice, font of your choice, and color thread of your choice. The embroidery fee you select will cover up to 25 characters (letters). Additional embroidery desired will result in a larger fee. Please contact me with any questions. Please include embroidery details at checkout if that option is selected, along with your color minky.